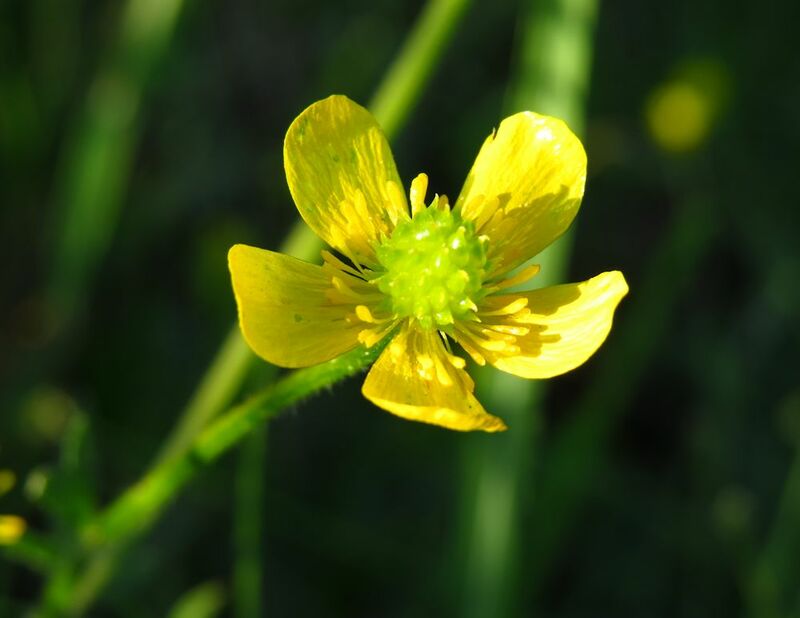 River banks are a picture at the moment with masses of Ranunculus multifidus in flower. 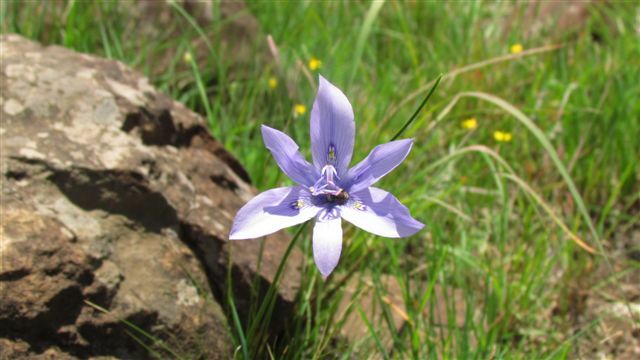 One of the Zulu names of this pretty little plant gives us a clue about where it likes to grow. Xhaphozi is the word for wetland. Despite repeated attempts to Porcupine proof my fence, I often wake to the crunch, crunch of a bulb feast outside my window. I have no crocosmia or arums left and he has also munched on the roots of Dietes bucheriana and a few Tulbaghia. I snapped this pic as he was destroying the very last clump of arums. Oh well, everything will grow again and porcupines can’t really pop into Woolies. We’ve had lots of truly beautiful days this month, perfect for long walks in the hills before the grass gets too long. 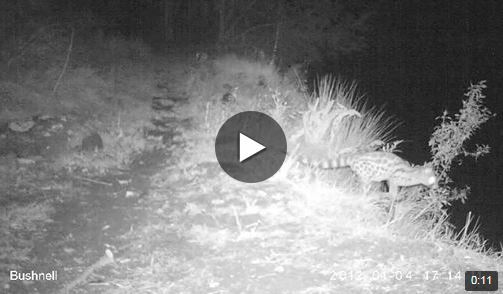 One afternoon a seriously spotty Serval bounded past me with her stripey tail flying. Terribly exciting. 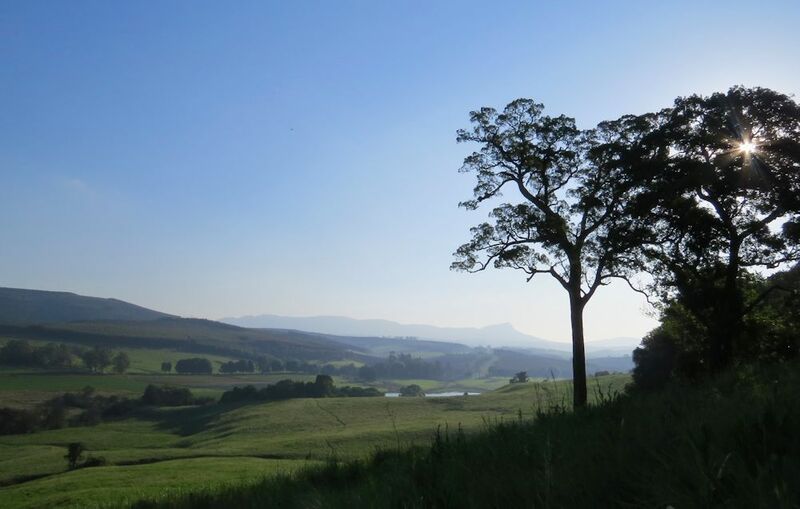 This is one of my favourite views of Inhlosane – with an enormous Yellowwood tree on the edge of a forest patch in the foreground. 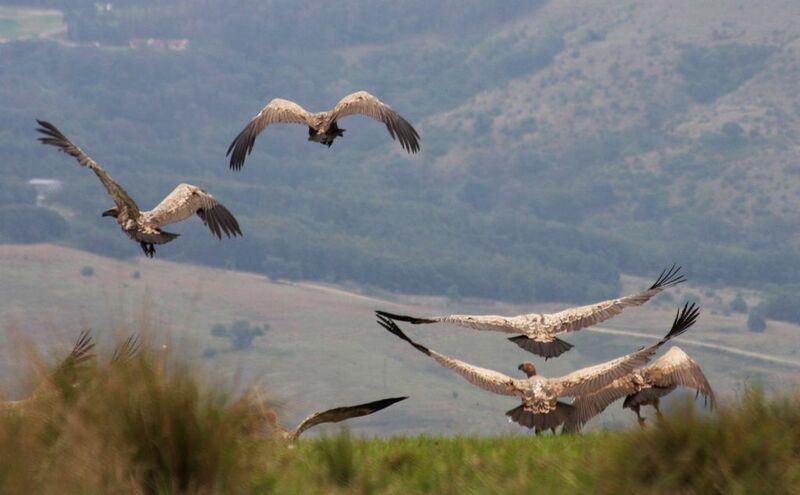 A cow died on the farm and the Cape Vultures came to visit. 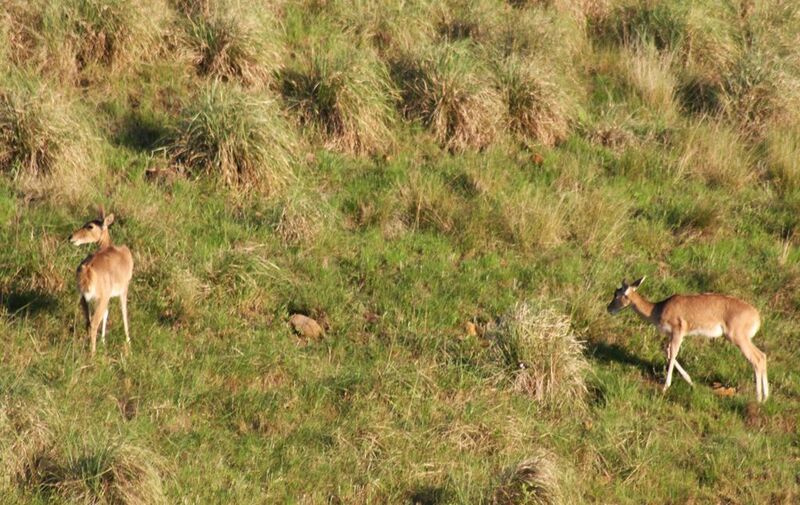 A little while ago we had a family of four Reedbuck grazing next to our shed. We had some big rains with more hail this month. 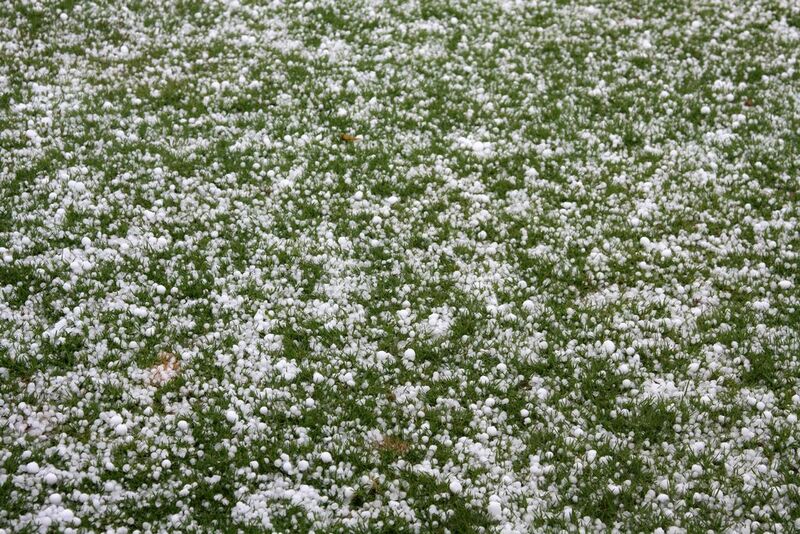 It has been a month of cold drizzly grey days and towards the latter part, severe thunder storms bringing hail. Four pied starlings arrived one cold drizzly morning. 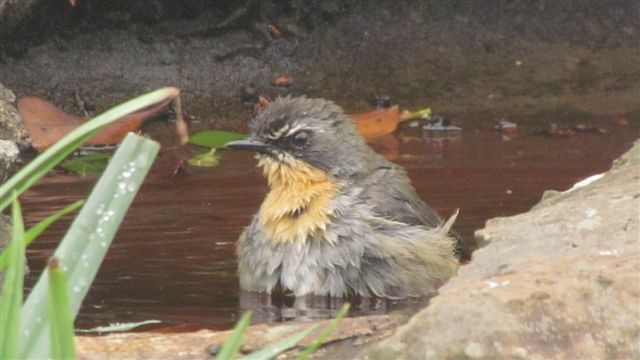 A cape robin also decided this was a great day for a swim. We picked buckets of mushrooms and huge i’kowes. Driving home on the D18 one afternoon came across a kilometre of flying ants and a jackal buzzard chomping his way through hundreds on the road. Their wings were not fully grown. One very windy morning watched a jackal buzzard flying low over our pond for a few minutes. He eventually plunged in and came up with a frog and flew off with it. At 6.20pm on 13th November, nine crowned crane arrived at our dam. The light was not good enough for a photo. 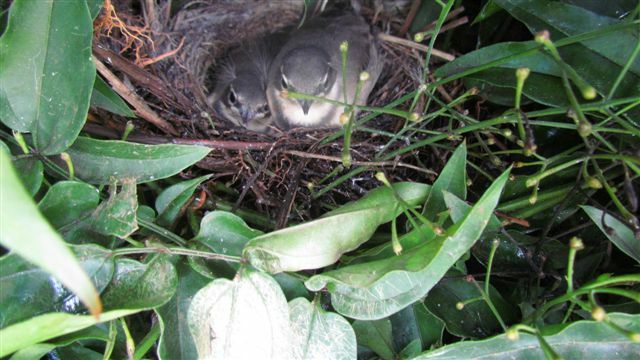 Two wagtail babies born in our jasmine creeper. 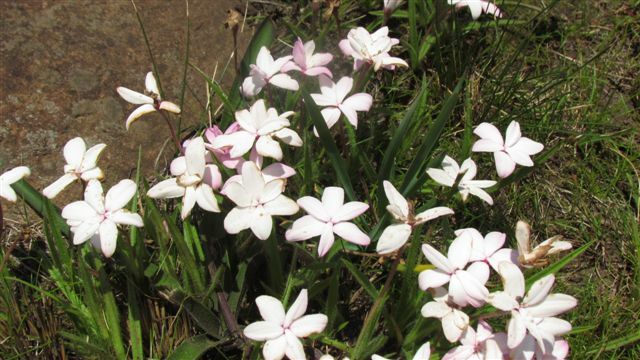 I wondered if these would survive with the cold weather. I took a photo this morning – 3 weeks old – they have survived through heavy rain, hail and cold weather. One warm morning I almost stood on a green natal bush snake sunning itself on the steps. 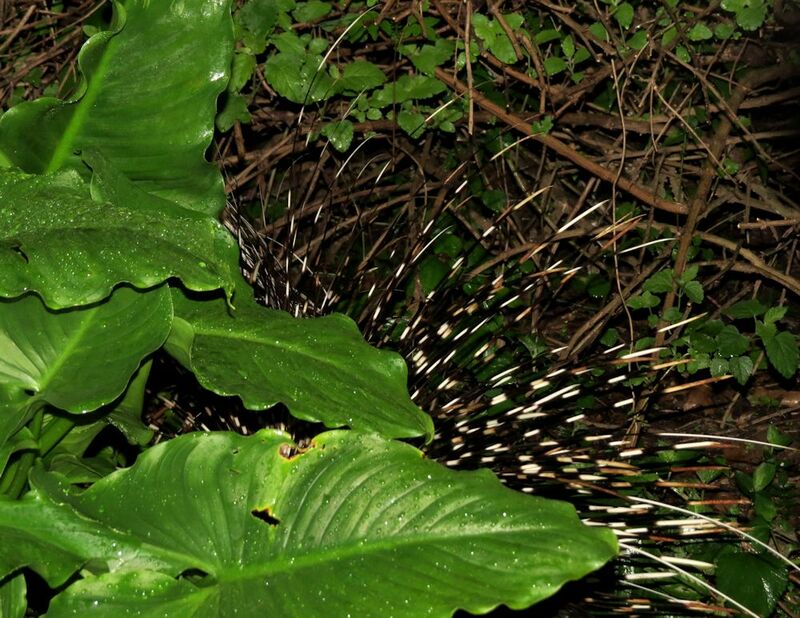 The porpupine have been getting in under our bonnox fence and have eaten 2 tree ferns and an azalea, which are supposedly poisonous to animals. Our wryneck eventually found a partner and they are nesting in the hollow pole down our driveway. One morning as I drove into our garden a steppe buzzard flew in front of the car with a snake wriggling in its claws. It was half metre – black and silver. Another day a grey heron flew past me with a rat. 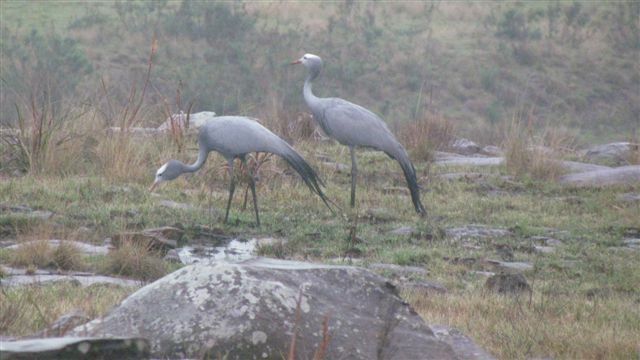 Our blue cranes are nesting on neighbouring farm. 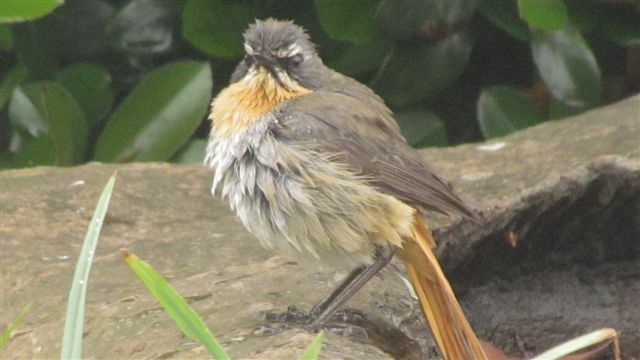 The male flies over our house almost daily, and craaks loudly and goes and wades in the dam. One morning mom joined him, had a few words and then flew off again. I wonder what she told him, as shortly afterward he flew off in the same direction she had gone. The cape canary has a nest in my standard rose, with 4 eggs. There are at least 3 steppe buzzards on the farm this year. 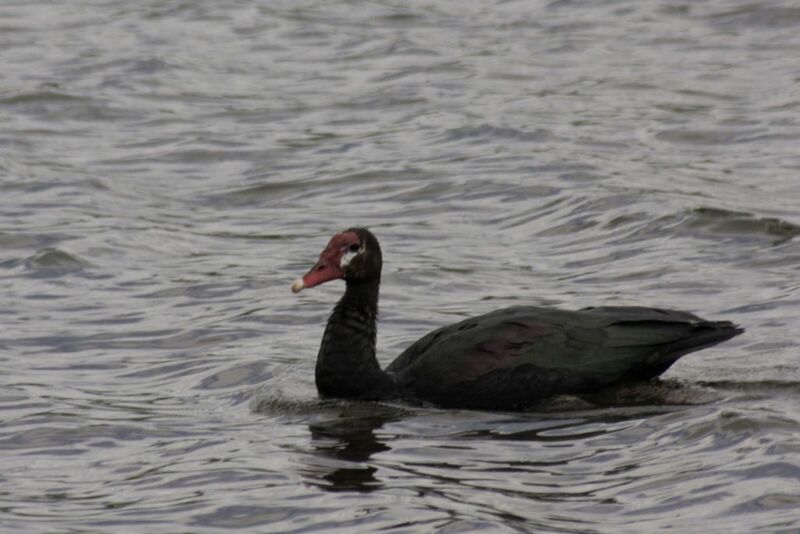 The gymnogene was hunting in the rocks early one morning in front of the house. Our barn owls are back and nesting in the chimney now, as we closed up the cavity where they were nesting before on top of the verandah. The swallows are nesting in 3 different places around the house – one on top of the glass light shade on the verandah. The sparrows have nests in the gutters. The rock pigeons are nesting in another chimney. 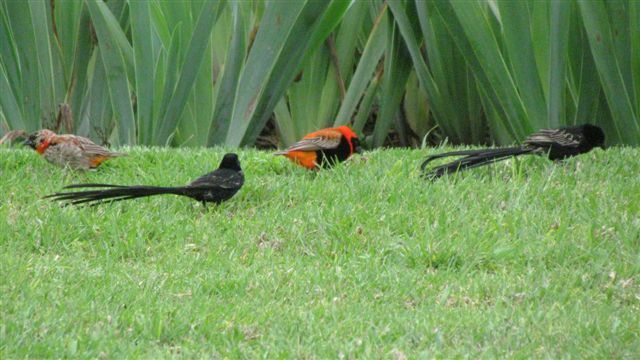 A male red bishop has joined a flock of red collared widow birds that live on our lawn. Heard red chested cuckoo near the house today. 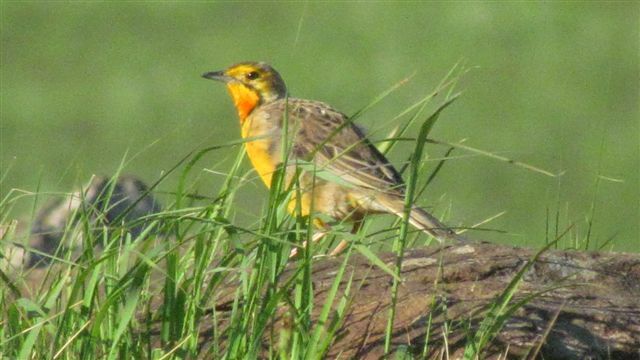 Also heard the fish eagle on several occasions and Orange throated Longclaw. Drinking a cup of tea after lunch one Saturday two weeks ago, I was looking out the kitchen window when I saw a frog hopping slowly across the lawn. Alarm bells rang and I started searching for the snake. 5 metres away was a night adder, but instead of chasing the frog it was heading in the opposite direction. 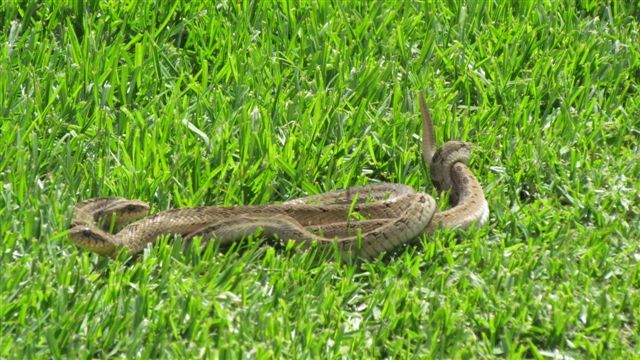 I couldn’t understand this until I saw another night adder sliding out of my shrubbery. They slowly slid towards each other and I was not sure what was going to happen. I grabbed my camera, shouted to my husband who was having a nap, jumped on top of the kitchen counter and started to take pictures. They slowly entwined around each other for about a minute and then joined their tails and lay still for a short while, then the sliding around each other started again and they encircled their tails for a second time. This all took about 2 minutes. They slowly disengaged themselves and went their separate ways. I presumed that they had been mating. Although this was very exciting to observe, I am terrified of snakes and don’t do much gardening at the moment. The jackals ate half a calf as mother was trying to give birth one night. It was a large calf and Pat had to pull it out next morning. 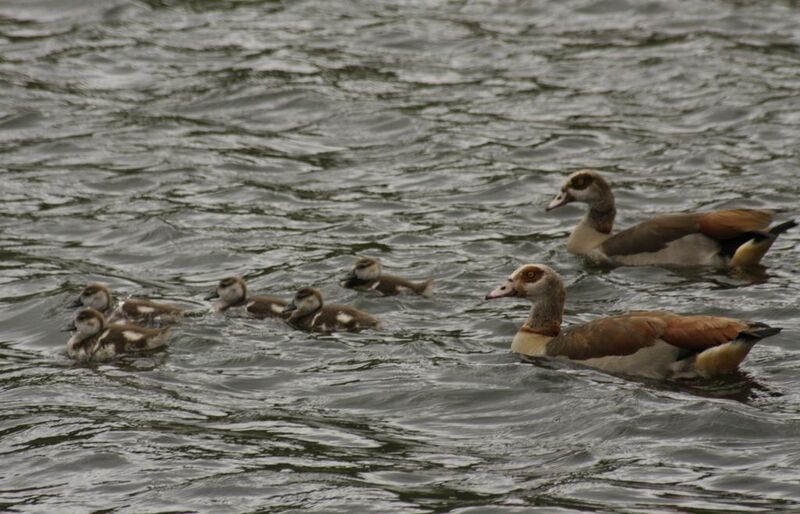 The mother was very traumatised and could not stand. We injected her, fed her, all to no avail, so had to put her down I’m afraid. Pat McKrill comments: Looks like the Merricks have more fun than a barrel full of monkeys! 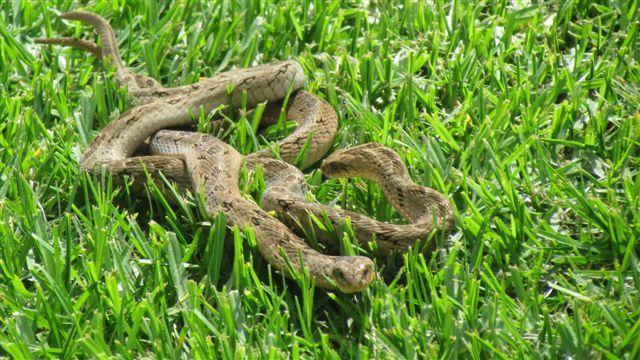 The night adder pics are great, please tell Sandra that there’s no need to worry about gardening, as she’s already seen, the snakes have other things to do in the garden at this time of the year – attacking gardeners is not on the schedule. 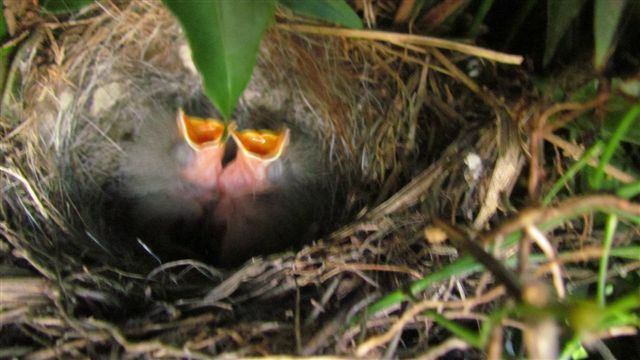 The resultant kids (probably about a dozen) from the two minutes of eye-watering ecstasy will move on when they hatch, like will-o-the-wisps. The only things that might need to worry would be the frogs. 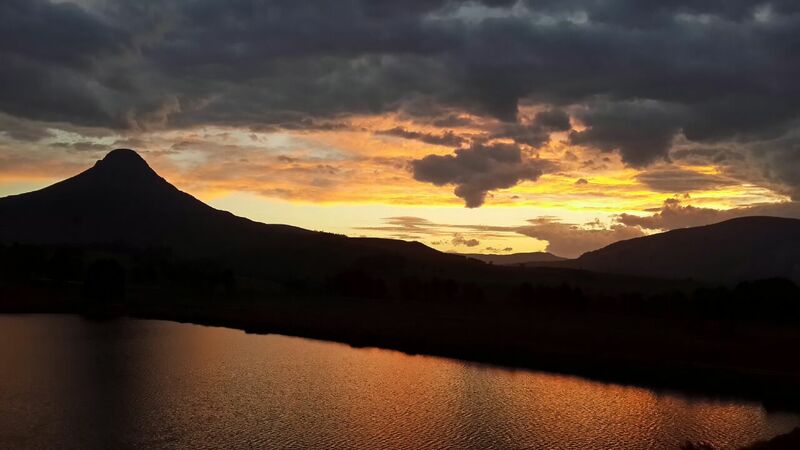 David Crookes – Copperleigh Farm Sunset over Mavela Dam, Inhlosane on the left. 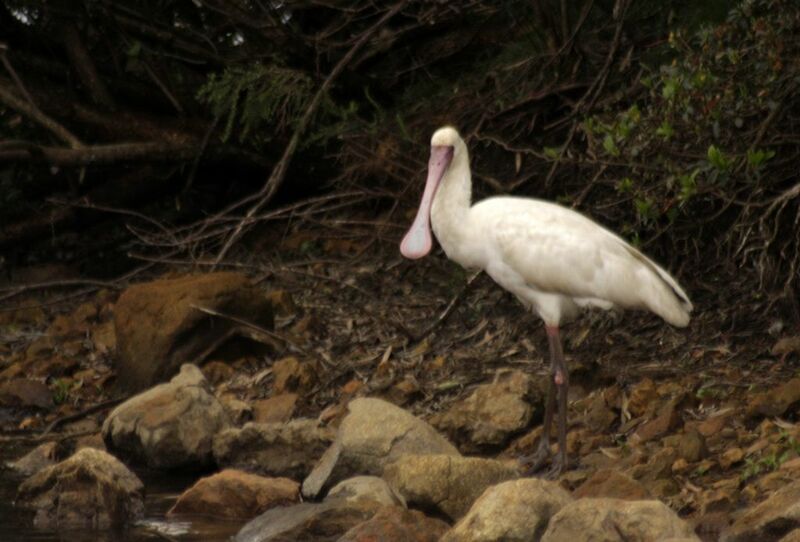 This entry was posted in KZN Midlands Wildlife and tagged african spoonbill, birds, blue cranes, Cape Vultures, dargle, genet, indigenous plants, night adder, porcupine, reedbuck, snakes on December 6, 2014 by Midlands Conservancies Forum. Lots of highs and lows there in the Merricks garden plus plenty of the ‘birds and the bees’ behaviour from the snakes too! Stunning photos from everyone, especially the sunset photo.